Until very recently, Albania was a total mess (I mean, it’s still a mess; you should see it, but it’s all relative). After all, Albania had endured over four decades of insane rule by Enver Hoxha, and when he died in the ’80s, the country descended into a period of prolonged chaos (remember the crazy stock market Ponzi schemes that nearly threw Albania into revolution?). It was just like North Korea would be if suddenly its totally unsocialized citizens were granted the freedom to do whatever the hell they wanted. Fast forward a few decades and Albania achieved some measure of stability. It’s a new century. Technology advances connect the country to the rest of the world in hitherto unimaginable ways. The borders to neighboring countries like Greece opened up. It’s fair to say that the Albanians’ minds were blown. Exposed now to the Europe that Hoxha tried everything to prevent them from learning about, the population was able to take stock more fully of just how screwed up a country they had. Decade after decade, as the world advanced, Albania had remained a North Korea-like backwater, and suddenly the veil was lifted. It’s like they’d just come out of stasis. 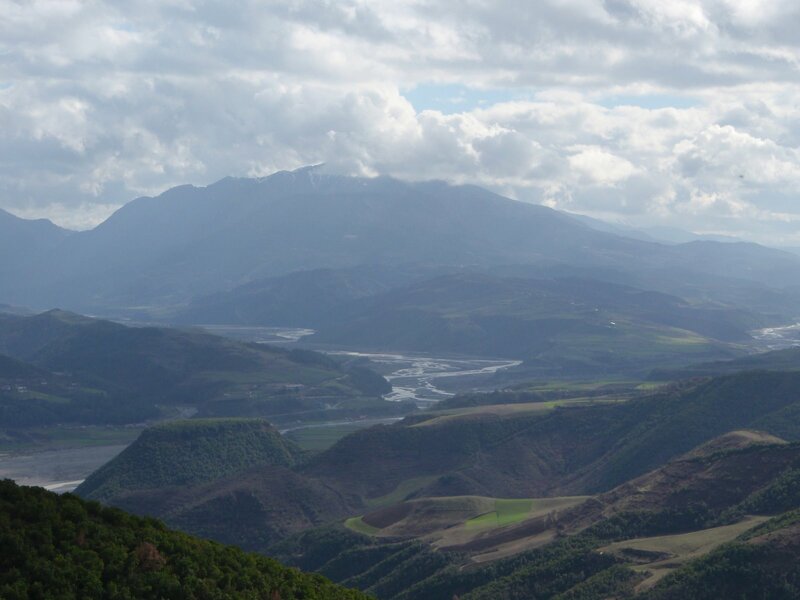 I was in Albania pretty recently and have friends there (and in Greece, were a number of them work on my family’s farmland). We talked about the push for gay rights, and they attribute it to the prime minister’s attempt to make up for lost time – to show the rest of Europe that Albania isn’t just making progress; it’s leading the way. The push for marriage equality there wasn’t quite a political stunt, but it was definitely intended to be an attention grabber that would change the rest of the world’s perception of Albania in the most dramatic way possible. The PM didn’t have any particular investment in the issue of gay rights; he just wanted to get Albania on the map FAST. Surprisingly I don’t find them to be quite as damaged as the writer says, however — they’re a pretty resilient bunch, to say the least — and I think they’re too proud, as well, for us to so easily ascribe Berisha’s comments to the channelling of some collective need to curry Western admiration; that’s probably a Greek projection. 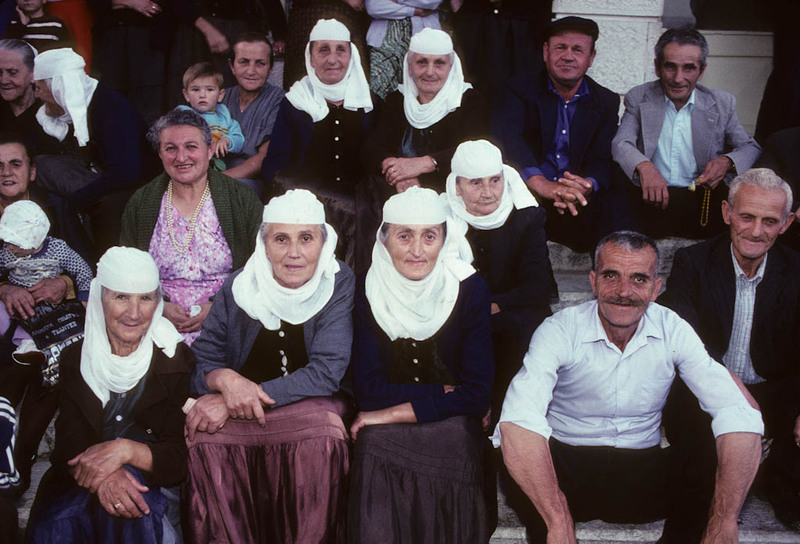 When I went to Albania in 1992 to visit my father’s village and see relatives for the first time (my father never saw his parents again after 1945; my grandfather disappeared into a prison camp in the early sixties and my grandmother soldiered on in solitude until she died in 1989, just a year before we would’ve been able to see her again) I expected to find them all in shocked grief. Instead — there were tears, yes — I found them in that state of relieved giddiness that one feels upon waking from a life-threatening nightmare and that they had almost immediately converted their experience into something like an absurdist performance piece that they had had to sit through and hadn’t quite understood but whose remnant bad taste they needed to laugh off at once. To hear an eighty-year-old woman cackle about having to attend a “social criticism” meeting in what had been her church and confess that, yes, she kept two chickens more than what was permitted by the village collective’s policy, was a real lesson in how smart black humour sustained the peoples of Eastern Europe through the murderous idiocy of communism. And, like the writer says, they were brimming with an enthusiasm to embrace anything that meant a new life. Some beautiful parts of my village’s, and the country’s, culture may have been lost through that enthusiasm but we can do without any tradition that’s only preserved in the aspic of that kind of tyranny. Immigrants from Albania, of whatever ethnicity, brought lots of that strength and energy to Greece as well. In the 1990’s, when Albanians flooded Greece and Greeks were faced with the horrifying realization that their northern border hadn’t really been with Austria all that time, many of them predictably behaved like racist jerks, a performance they’re repeating with others right now, except more viciously because this time they’re scared. The Eurolatry and the essentially colonized core of the Neo-Greek mind produces a kind of delusional isolation that may be more impermeable than Albania’s ever was — a historical-emotional bubble of ignorance, a probably now unhealable neurotic disconnect from the subject’s surroundings — that made it hard for Greeks at the time to realize that that migration was only the most recent wave in a millenia-long process* that makes Greeks and Albanians practically co-peoples in so many ways. There’s a show running in Athens now, with a sister production here in Astoria in New York, called “In-Laws from Tirane” — silly but fun and kind of smart ultimately — whose essential thesis is precisely that. It opens with one of the main characters fuming that that year’s high school valedictorian was an Albanian immigrant kid and got to lead the town’s Independence Day parade, the irony — intentional or not — being that much of the Greek “independence” struggle from the Ottomans was fought by men who didn’t speak a word of anything but Albanian. It’s made me happy to see how well-integrated a part of Greek life they’ve become lately (even as it crumbles around them) and what an almost American-style immigrant success story they are in so many ways. Many have even moved on to the U.S., and are over-represented in entrepreneurial life here in Greek New York; the wildly successful seafood restaurant “Kyklades” in Astoria, known throughout the boroughs (but which I have some culinary gripes with), is owned by an Albanian who may not have seen the sea till he was fifteen. They certainly have the kind of immigrant work ethic that puts everyone around them to shame. When I was in Greece in 2010 I was initially baffled by the ubiquitous presence of young, attractive, well-mannered waiters and waitresses and found myself wondering who they were, since no Athenian kid has condescended to work as a waiter in about forty years, until I asked once or twice and then stopped. They were all Albanian. As for the writer’s Albanian “brand of Islam,” he means a heavily Bektashi-influenced form which one can probably apply to Balkan Islam in general. The Bektashis are a Sufi order of almost Shia-like content and some pretty attractively unorthodox views of its own; on Wiki it’s surprisingly placed as part of an “Alevism” series, and they share some core beliefs and rituals, but I don’t know if either Alevis or Bektashi followers will ever tell you they’re related. 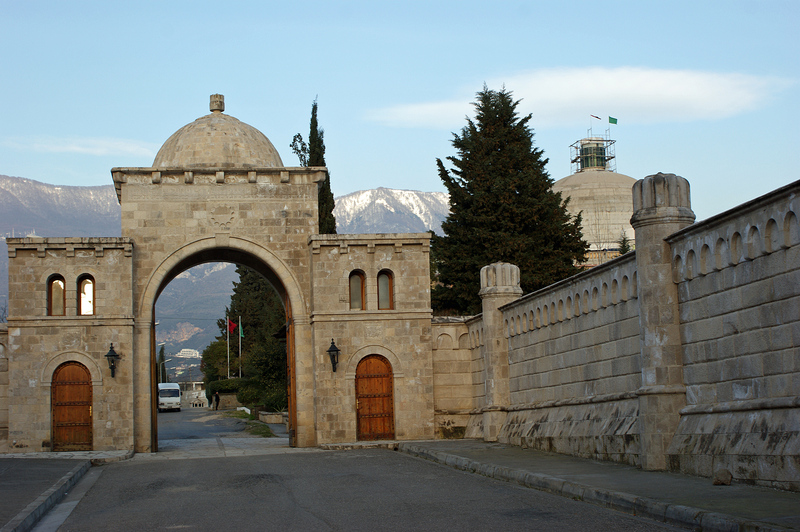 Centuries of harassment and outright persecution made both, but Alevis especially, fairly secretive about themselves and their practices; that changed radically in Turkey after some horrific twentieth-century episodes and the subsequent finding of a strong and admirably outspoken political voice on their part, but even now you get the sense that an Alevi (Turk or Kurd) needs to know you a little before he tells you. I also don’t think either will tell you they’re Shiites: http://en.wikipedia.org/wiki/Bektashi_Order http://en.wikipedia.org/wiki/Alevi (They’re both really interesting — read about them.) The Bektashi order was widely associated with the Janissary corps; the classical period Janissary corps was heavily Albanian and Serbian in origin; maybe its influence in the Balkans was a circular process — I don’t know. If you clear away the boogeyman-like associations the devsirme has in Balkan Christian legend, one of the things you learn is that many Janissaries, and even those in the Ottoman slave corps generally, maintained more contact with their culture and even community of origin than one would think (man, am I gonna get it for that one…). *Italians had trouble realizing this at the same time, meaning the almost equally constant history of Albanian migration to southern Italy and Sicily. 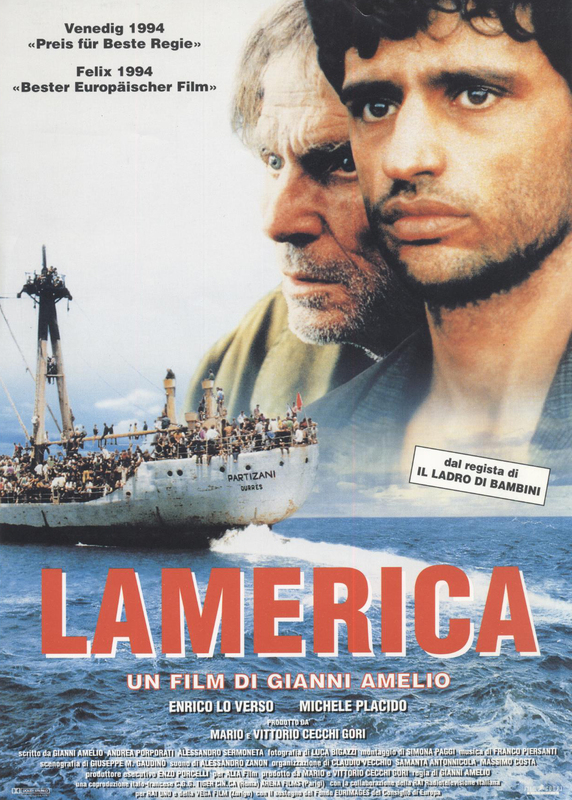 See Gianni Amelio’s beautiful 1994 Lamerica, which is the story of how a cool, smug Young European Sicilian gets stranded in Albania and realizes that he’s only a generation away from being counted among the wretched of the earth himself — and how dangerous it is to forget that. It should be mandatory viewing in Greece right now.